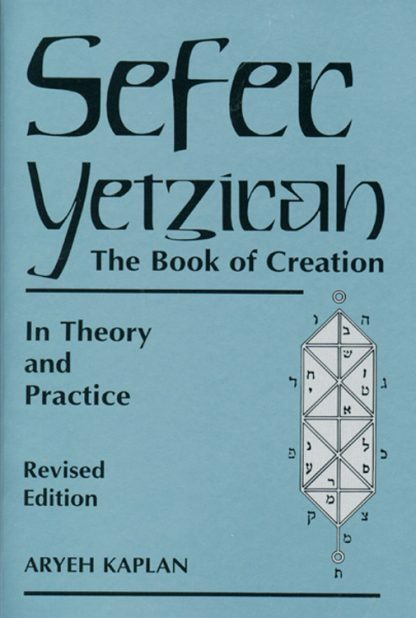 Now in its 7th printing since republication in 1997, the Sefer Yetzirah has established itself as a primary source for all serious students of Kabbalah. Rabbi Kaplan's translation of this oldest and most mysterious of all Kabbalistic texts provides a unique perspective on the meditative and magical aspects of Kabbalah. He expounds on the dynamics of the spiritual domain, the worlds of Sefirot, souls and angels. This translation is based on Gra version of the Sefer Yetzirah and includes the author's extraordinary commentary on all its mystical aspects including kabbalistic astrology, Ezekiel's vision and the 231 gates. Also included are three alternative versions to make this volume the most complete work on the Sefer Yetzirah available in English.